Our main products are RDP, HPMC, Water repellent, Superplasticizer ,PP Fiber, Calcium Formate, mortars,etc. Our annual output of RDP is 36,000 ton, which is the biggest manufacturer inAsiaregion. 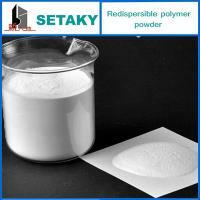 Redispersible polymer powder produced by spray-drying special water-based emulsion, mostly based on vinyl acetate-ethylene (VAE), and then obtained a free flowing organic polymer powder. It can re-disperse in water, and form a film after water evaporation by coalescence of individual polymer particles. The film acts as an organic binder, to glue together different substrates, reinforce mortar structure and provide excellent adhesion at cement or gypsum based dry mixed mortar substrate interface. B. Big Bag or other special packages as per clients’ request. Shandong Xindadi Industrial Group Co., Ltd. was founded in 1998, headquartered in Jinan, China. The company is a professional manufacturer of additives forDrymortars or concrete. 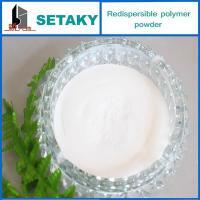 We insist to supply high-quality technology products ofRedispersible Polymer Powder (RDP), Cellulose ethers, Water repellent for building dry-mixed mortar applications. 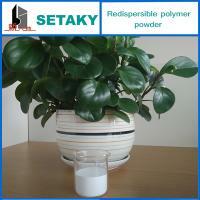 Now our annual output is 36,000 tons, and we are the biggest manufacturer of redispersible powder in Asia region. 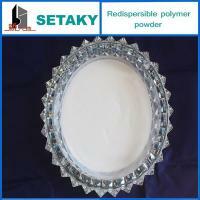 Our main products are RDP, HPMC, Water repellent, Water reducer/superplasticizer,PP Fiber, Calcium Formate,Mortars,etc. Our annual output of RDP is 36,000 ton, which is the biggest manufacturer in Asia region. yourenquiry and visit. Thanksin advance! Founded in 1998, Shandong Xindadi Industrial Group Co.,Ltd. is located in Jinan, China. There are two processing base, one is in Feicheng city, other is in Yucheng city, covering area of 120,000 square meters. Shandong Xindadi Group is a professional manufacturer of additives for the dry mortors or concrete. 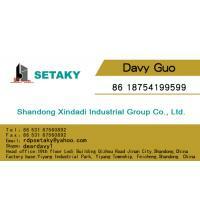 We focus on the market applications and lead industry innovation. 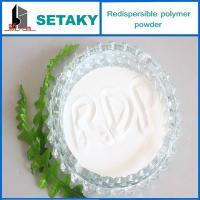 We insist to supply high-quality technology products of Redispersible Polymer Powder (RDP), Cellulose ethers(HPMC), Silane Water repellent, PCE Water reduce, PP fiber and so on for building dry-mixed mortar applications, which can improve the quality of construction, the level of mechanization of construction, construction environment. Currently our production capacity for RDP is 36,000MT annually, the biggest manufacturer of RDP in China. We can help customers to improve their products and supply goods suggestion to satisfy various market requirements based on different level. Shandong Xindadi Group adhere to supply high-quality of product by strategic cooperation with international Chemical companies such as Wacker (The worldwide famous VAE emulsion supplier from Germany) and Celanese (The worldwide famous VAE emulsion supplier from USA), With honest and mutual benefit cooperation philosophy, we have built stable business relationship with many inland agency and distributor, and nowadays we are searching for the powerful partner/agency in global market, to help us to exploit the oversea market. Our primary target is to satisfy customers' requirement, supply innovative products and service, which to promote development in building construction industry. Contact us to win-win cooperation!